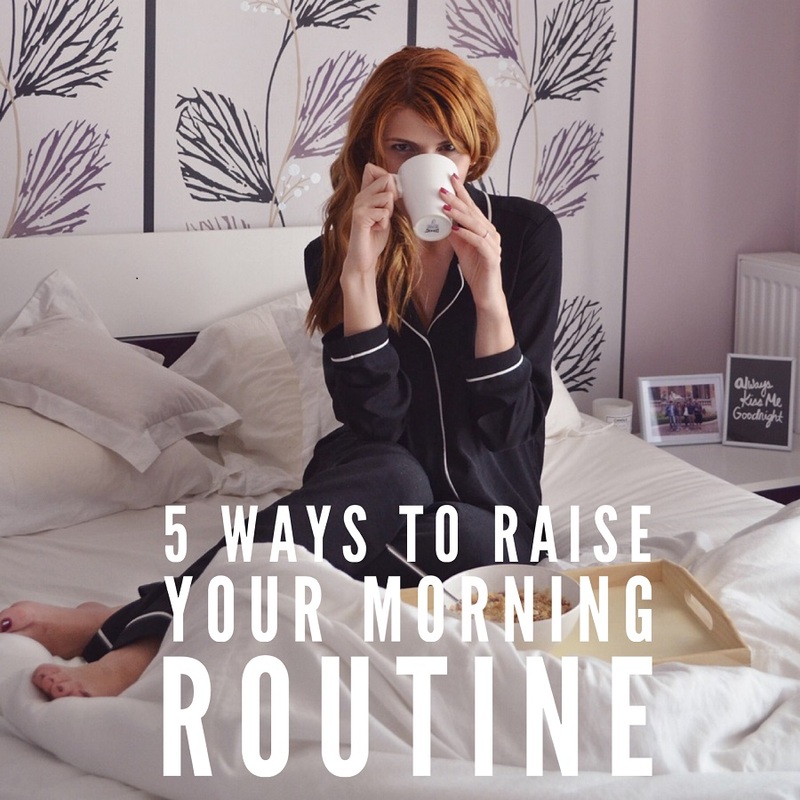 (Even) if the 5am club sounds two hours too early for you, there are still ways to make sure your morning sets the tone for the rest of your day. I wake up early (around 5-5.30am) – it’s easy, it’s become a habit I feel better for, but I get why it’s hard for a lot of people. I love the birds chirping and the clarity and freshness of a new day, particularly in spring or summer. We’re deeply hardwired to wake with the new light of day and go to bed after the light has faded although digital devices and the invention of electric light have binned that natural cycle, triggering problems like insomnia, anxiety, fatigue, low mood and lack of good sleep. You have to have a morning routine to reap the benefits, whether it’s a lemon water and herbal tea, writing a gratitude list, giving yourself 5-10 minutes for a good shower and proper cleansing routine (this is where gorgeous aromatherapeutic body washes and a really good cleanser come in). Writing your intentions down on paper (yes in a book in your own unique flowing handwriting, not notes typed into a digital device) helps amplify them. If you have a chair-bound job (sitting is the new smoking) it’s vital to include a decent amount of daily exercise. If you normally take a walk at lunchtime – or later, after work – there’s a chance your exercise window could be sabotaged by an unexpected meeting, a last minute deadline, a surprise lunch with a friend. By exercising before the day is in full flow, whether it’s a walk, running, rebounding or yoga, you’ve done it before the day starts. This one sounds totally counter-intuitive…erm, who has time for this every morning?! Not only will it energise and improve your facial tone, it ticks a lot of boxes (self-care, beauty, wellbeing, focus, mindfulness, quiet time for yourself). If time is not your friend, find a routine that takes just 5 minutes or less and then stick to it religiously – morning and night. Because supergreen powders are so nutritionally dense, they can be a gamechanger. If you’re trying to get off sugar, supergreens can cut out cravings for crap foods within a week, even a few days. Plus, you get a head start on the day nutritionally, you’ve already loaded up with good greens. I take multi-green blends rather than only one or two single ingredients – e.g. a mix with wheatgrass, chlorella, spirulina, spinach, alfalfa, etc like Garden of Life’s Perfect Food. I’ll add some hemp protein powder, a little olive oil, cilantro (coriander – a heavy metal detoxifier) and an avocado and/or a banana to mine. (Side note: chlorella has really improved my stamina, I’m less tired by the end of the day and it also pulls toxic heavy metals out of your system). A green smoothie is basically the opposite of a bad blood sugar disruptor like sugary cereal or toast and marmalade or the worst breakfast possible: the fat American cop “donut”. Healthy eating is a form of self-respect.